A rich broth is filled with barbecue chicken flavor and chock full of yummy ‘toppings’, like sweet corn, red onion, rotisserie chicken, mozzarella cheese, and cilantro leaves. 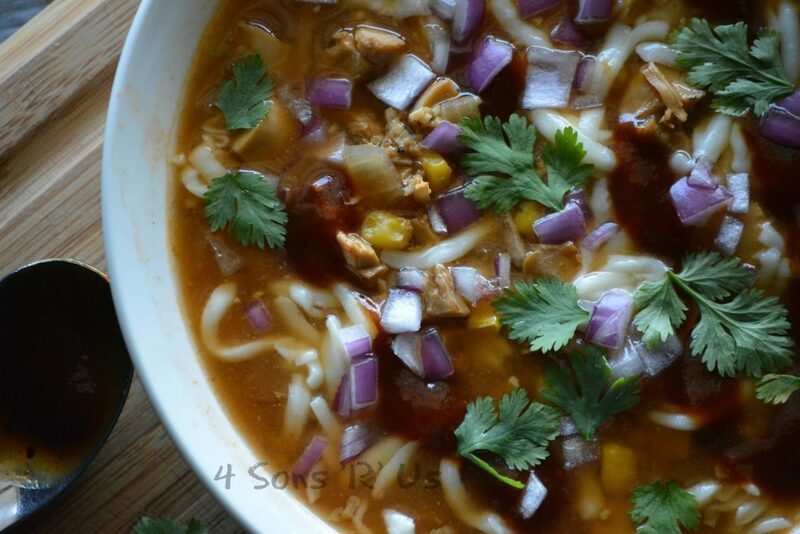 This Barbecue Chicken Pizza Soup is a yummy, innovative hybrid dish. I love pizza. And I’ve no shame in admitting that we eat it at least three times a month. Sometimes more, sometimes less. It just depends, especially when you take into consideration that in our house- pizza, or one of our versions of it, is acceptable for any meal of the day. We’ve put it in grilled cheese. We’ve put it in pasta salad. We’ve even put it in pancakes. All are yummy family favorites. I’ve even experimented, with great success, with warping our favorite pizza flavors into different dishes. Take our Meat Lover’s Pizza Casserole for example. Or this dip. Even this yummy pull -apart appetizer bread. But I must say my triumph was discovering the best way to get those same flavors I love in liquid form. 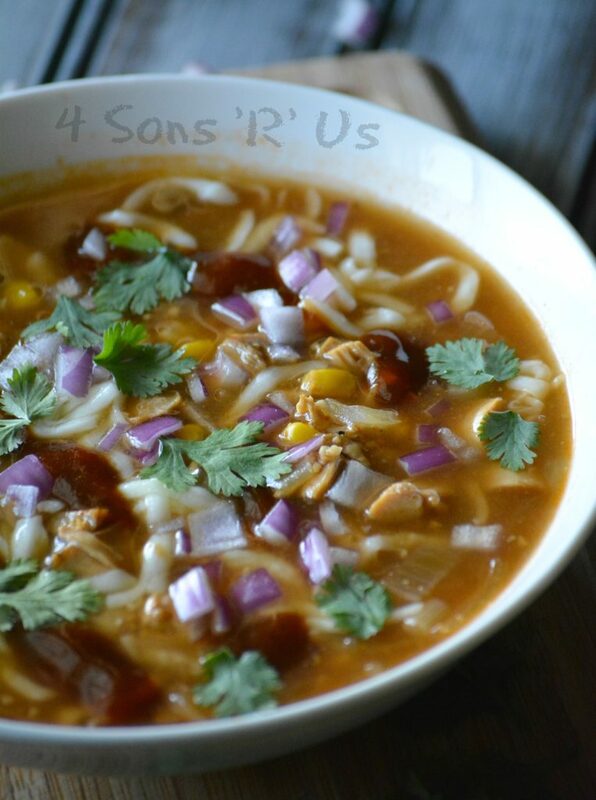 This is exactly how we came to know and love this Barbecue Chicken Pizza Soup. This is everything you love about barbecue chicken pizza,but in a pot that’s full of slurpin’ fun. A barbecue and chicken stock base are studded with chunks of rotisserie chicken, diced red onion, flecks of golden corn, and topped with drizzle of barbecue sauce, freshly shredded mozzarella and cilantro leaves. 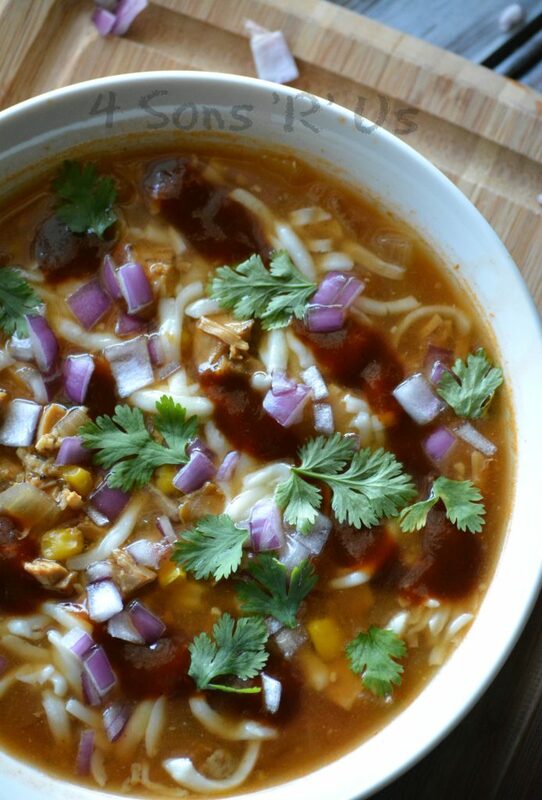 When the weather turns cold turn to a bowl of this warm Barbecue Chicken Pizza Soup. A yummy soup that tastes just like barbecue chicken pizza, but without the carbs and made easily in your slow cooker. To the bowl of your slow cooker, add all of the ingredients-- except for cilantro and mozzarella cheese. Transfer the chicken breasts to a cutting board and chop them into roughly bite-sized. Transfer them back to the slow cooker and stir everything to combine. Ladle the soup into individual bowls and top with mozzarella cheese. Let the bowls 'rest' for a minute, just until the cheese starts to melt. Drizzle with extra barbecue, and some extra red onion, and a sprinkle of cilantro, to taste. If trying to make this faster, like on a busy weeknight, you can cook it in a soup pot in about thirty minutes, and sub chopped rotisserie chicken for uncooked. 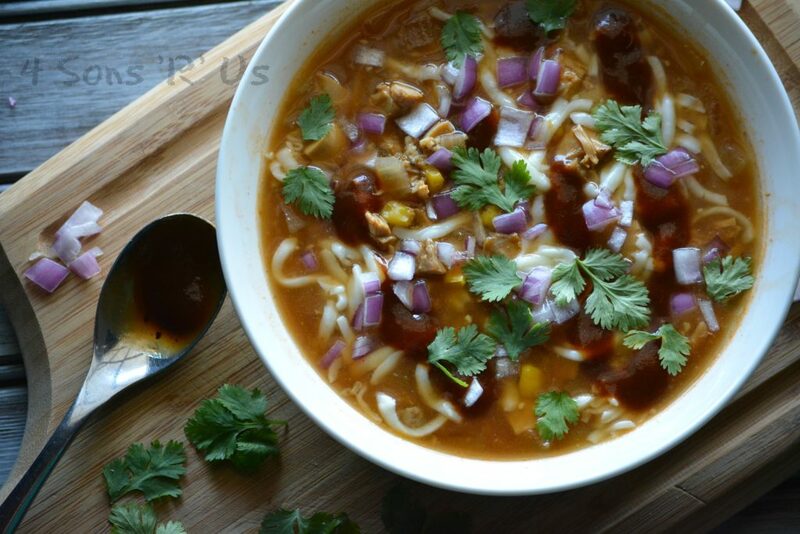 What a brilliant idea to turn BBQ chicken pizza into a soup! I love how hearty and colorful this soup is. We just made this soup for dinner… We love it! The flavor profile is spot on… Thank you!